Turkish President Tayyip Erdogan addresses supporters during a pre-election rally in Sarajevo, Bosnia. 20 May 2018. Hasan Hüseyin Demir moved from Hassa, a small city in the Turkish province of Hatay to Kosovo in 2012 to work first as an educator and then as a school principal. His life was following the normal path of an expat. Hasan’s story, however, has taken an unexpected turn since April 29, 2018. Erdogan administration wants to deport him back to Turkey, where he is supposed to serve a ten years jail sentence. What is even more shocking is how Hasan learned about this worrisome news. As Vocal Europe already reported, on April 29, 2018 six Turkish nationals living in Kosovo (five teachers and a doctor) have been illegally arrested and extradited due to their alleged ties with the movement led by Turkish cleric Fetullah Gülen. 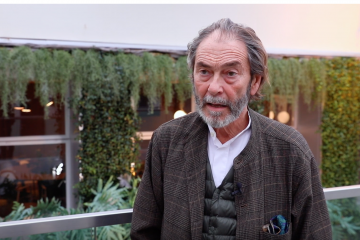 While lawyers were investigating the details of the case, they found out that Hasan was supposed to be taken away, but Kosovar and Turkish intelligence agencies got his name mixed up and, as a result, abducted the wrong person. Accordingly, the Prime Minister of Kosovo tweeted that he was not aware of the covered operation, and therefore he sacked the Minister of the Interior and the Secret Service Chief as a consequence. On the same month, Hasan’s residence permit has been denied for the first time after he arrived in the country, leaving him no option but to seek for asylum. Hasan cannot go back to Turkey, where he would be persecuted as a Gülenist, and he does not feel safe in Kosovo either. 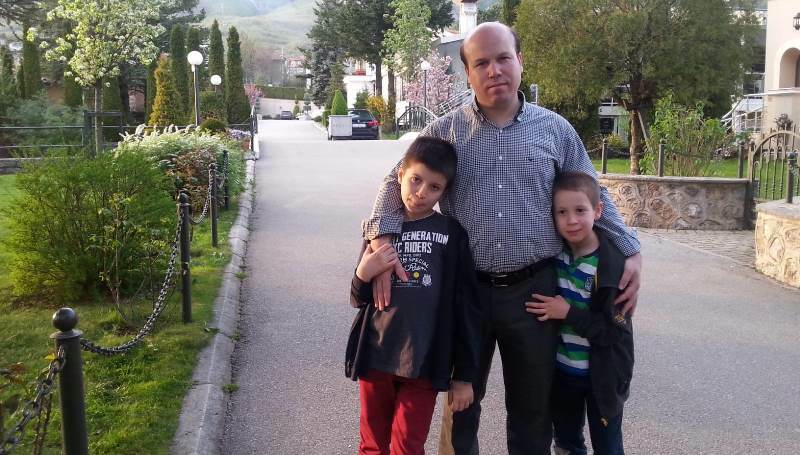 Hasan Hüseyin Demir is seen with his two kids in Pristina, September 2017. Unfortunately, Hasan’s story is not an isolated case: President Recep Tayyip Erdogan has started a crackdown against expat educators working for institutions associated with Gülen Movement. In December 2017, Turkish Minister of the Interior Süleyman Soylu claimed that more than 40,000 people were arrested and incarcerated for their alleged link with the movement, but other sources report that the number of the imprisoned reaches almost 65,000, of which 20,000 are women and around 1,000 are infants between the age of three and six. The head of Turkish State is accusing the exiled cleric Gülen and his followers to be the organizers of the failed coup that took place in 2016, and politically listed them as a terrorist organization. While the responsible(s) for the botched putsch is still unknown, with some people thinking it may have been Erdogan himself, a manhunt in the country and abroad has been launched to arrest members of the community. The crackdown on the opposition abroad has led to the revocation of over 230,000 passports and the issuing of 60,000 arrest warrants via Interpol, majority of which are Turkish nationals who are allegedly linked to Gülen Movement. Over the last decade, Turkey has assertively engaged in the Western Balkans that is home to a large Muslim community. To strengthen its influence in the region, the Turkish leadership has been using a mix of soft and hard power approach, rooted in a neo-Ottoman nostalgia. Donations to build infrastructures and large investments in the area are exchanged with political concessions in the fight against what Turkish authorities define as a “terrorist” group. 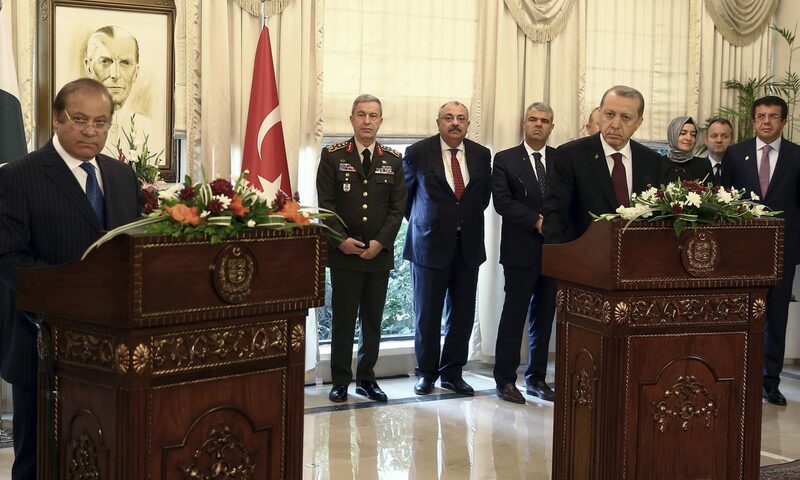 Turkish government actively shares with the intelligence services of these countries lists of persons that are expected to be handed over, using its clout to conduct campaigns in the press and in the media against the alleged Gülenist “traitors”. Turkish influence on the media is particularly evident in Albania: the television program “Opinion” suggested that the country’s leaders should extradite 450 Gülenists living on Albanian territory, as requested in a note that Turkish Intelligence Agency (MIT) shared with national authorities. Moreover, the Turkish Embassy in Albania is refusing to exercise even the simplest functions for those connected to institutions linked to the movement, even registering newborn babies. There have also been reports of threats against doctors working for a hospital affiliated to the movement. 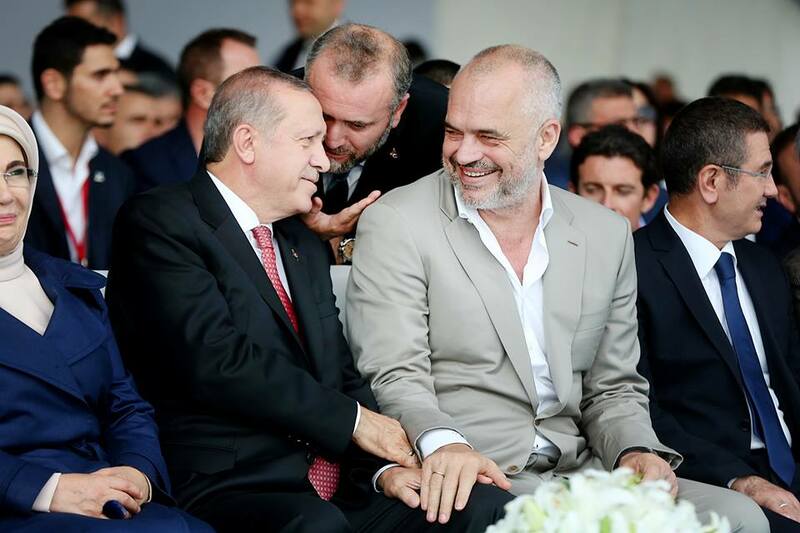 Albanian PM Edi Rama (R) and Turkish President Recep Tayyip Erdoğan (L) during an opening ceremony in Tirana, September 2017. In neighboring Macedonia, the situation is as ominous and quickly deteriorating. 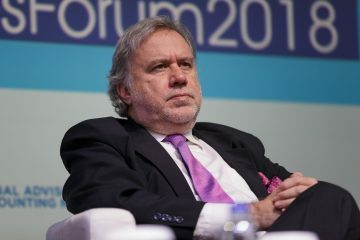 In the last month, the police called in some well-known businesspeople and warned that the protection they could offer to them might “not be enough”, because the Turkish pressure on different state institutions is tremendous. As a result, many of the summoned fled the country, fearing for their physical safety. Turkish citizens working for schools linked to Gülen Movement in Serbia face a similar pressure as the one reported for Kosovo. One instance of this is the attempt to close down a primary school and a kindergarten in Belgrade following an irregular inspection from the Ministry of the Interior. The authorities are to shut down the institutions because they did not have permits to use the building as a “public entity”. The letters explaining these decisions, however, seemed previously crafted, raising concerns that the Ministry of Education had already been on board with the plan. President Erdogan has personally visited the country two times in the last months, and in one rally he publicly declared that he was going to bring back to Turkey more and more “traitors”. Finally, MIT provided to authorities in Bosnia and Herzegovina a list of Gülenists to be deported, leading popular newspaper Avaz to publish an article in which it was denounced an incoming “human hunt”. On the subject, the Security Minister assured that rule of law will always be respected. But the level of concern is still high among the Turkish community, especially after the Minister of Education declared that schools associated with Gülen Movement will be closed down without explaining the reasons behind this decision. 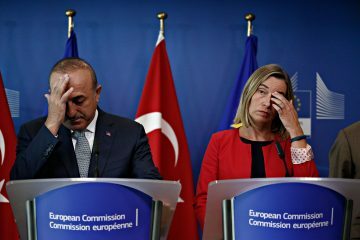 Western Balkans is a plum target for Mr. Erdogan’s battle against Gülen followers, but it is not the only one. In fact, reports of similar abductions and discriminations against alleged Gülenists are coming from many parts of the world, preeminently from countries where the majority of the population is Muslim. In these countries Gülenist institutions have been providing education for decades, but the recent attempt by the Erdoğan administration against them is threatening their future. Cases of illegal forced extradition have occurred in Afghanistan, Pakistan, Saudi Arabia, Malaysia, Kyrgyzstan, Gabon, and in many more states. The deported were all academics, teachers, school principals and business people, some of them already were recognized as refugees by the United Nations. Once back in Turkey, these people will more likely face harsh prison sentences, and possibly torture, in relation to their alleged link to the movement. The events taking place right now in the Western Balkans are very relevant for the European Union too: further enlargement will be tremendously endangered if these states are pushed to abandon the road to democracy and the rule of law. 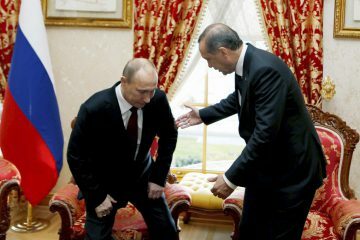 The connections between President Erdogan and the leaders of this region are putting in danger their membership process in the Union, which is already complicated by some problematic bilateral relationships. This possibility is becoming more and more likely, since President Erdogan is not standing down soon with his ambitions regarding the region. That being said Turkish influence in the Western Balkans is worrisome also for another reason: the campaign against the alleged “traitors” of the Gülen movement is radicalizing the Muslim community of the region, creating new barriers in already divided societies.